On one of our final days of our trip to Israel, our group traveled to Kibbutz Kfar Aza, a small town right near the border of the Gaza Strip. If I could name a place that looked like Paradise on Earth, this would be the town. There were palm trees and lush vegetation everywhere, and the weather was perfect and sunny. We entered a giant playground, that was painted in the most vibrant colors imaginable. All of sudden dozens of small children exited from school, along with their parents and dogs who roamed with no leashes. Moms were gossiping, children were laughing, it was picture perfect. One of the founders of this Kibbutz, Chen Abramz, started to describe the volatile life of the community members who live there. Because the community was only miles from the Gaza border, the threat of being attacked by a missile was always imminent. She informed us that every child, as little as four years old, knew that when the Red Alert alarm went off they had exactly nine seconds to find shelter. I immediately thought, what if the alert went off right now? Would I make it? What about the dozens of children? I began to experience a fear that they have every single day. Two days later, we learned that a Red Alert siren went off at Kfar Aza, and was intercepted in the air by the Iron Dome. 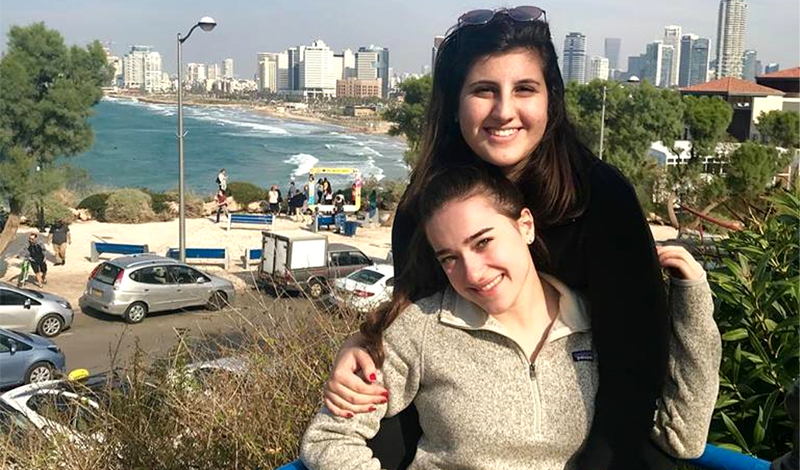 Editor’s Note: Christen Massouras participated in a trip to Israel with University of Illinois at Urbana-Champaign student leaders this winter.